New HITMAN 2 trailer for the upcoming Hantu Port Sniper Assassin Map, all-new downloadable content (DLC) arriving on 26th March. The latest map for Sniper Assassin mode, a standalone co-op experience within HITMAN 2, transports players to a container yard set on the island of Singapore where Han Ldong and his wife have been kidnapped by a group of highly skilled criminals known as the Heavenly Guard. 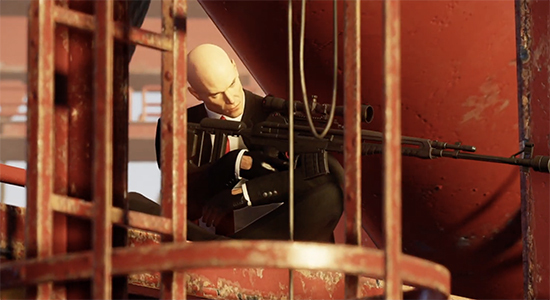 Players can take on the solo role of Agent 47 or complete the contract via online co-op as one of two operatives, Stone and Knight, to take out various targets before they transfer their hostages to a nearby cargo ship. Sniper Assassin is a franchise-first co-op experience for the Hitman series, allowing two players to work together online to complete challenges, earn or score multipliers, upgrade weapons and top the leader boards.